A one-year membership to the nonprofit Historical Society is $30.00, which funds the Society's projects. Included with this membership are four newsletters highlighting news and events of the Historical Society and from around the ET&WNC preservation community. Your membership also includes a subscription to the twice-yearly journal of the Society, Every Time With No Complaint, a magazine-quality publication produced for the organization by author/historian Johnny Graybeal. 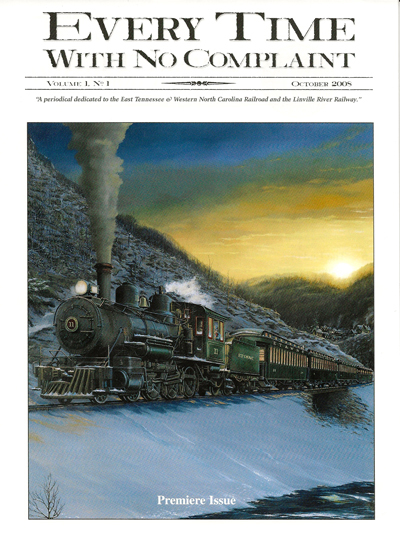 The magazine contains in-depth historical articles along with timely ET&WNC Railroad related modeling news and articles.